Should technology replace trust? 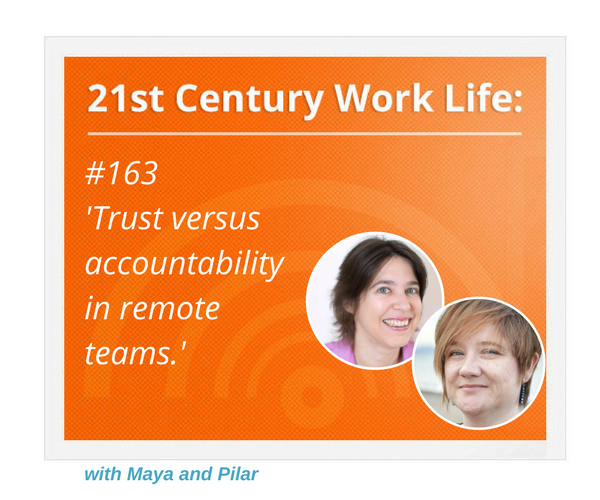 Are there ways of using technology so that we don’t have to rely on trust to get the work done in remote teams? How much do we need to trust each other and how much should we show our work? We try to answer these questions in today’s episode. Are we going back to the good ol’ days of clocking in and out by using timetracking software? 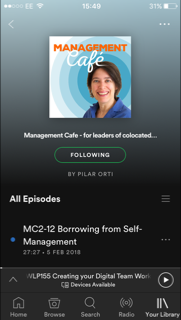 Can managers not go remote because their work is too important?! Is there fear that people use collaboration platforms to have private conversations? Or that they will contact anyone in the organisation, at any level? Is middle management less prone to trust? Is there a fear that organisational dynamics might change in a way we don’t like? The difficulty of making sure we achieve results without risking team members not feeling trusted. How shall we make that work visible in a way that people don’t think they’re having to justify their work? Can we trust that people know how to be productive outside the office? There are different ways of showing how we’re working – justifying our work in hours is one. The difficulty of sharing our work in progress, or narrating our work – some of us don’t like to show unfinished work. Turns out documenting the work and our conversations helps us be more effective without relying on trust! Sign up to our monthly newsletter for our podcast digest and recommended reading.